Azerbaijan, an alluring land in the South Caucasus, can be with no doubt compared with Italy, Spain and Greece for the number of sunny days in the country during the year. Located on the azure Caspian Sea the country boasts of its plenty of exotic beaches around the Baku and Absheron Peninsula, which enjoy high popularity among tourists. The beach season in the country is quote long lasting till the end of September. The water temperature, usually reaches +24 to +26 C in summer. Unbelievably amazing beach season encourage many in Azerbaijani to get suntanned. Getting a perfect is a desire of almost many of us during the summer many, while most of us, unfortunately, try "to get it at any price". Location on the shores of beautiful Caspian Sea is not the only reason why we love sun. While we usually like to fake our tans, there are plenty of reasons why we love the sun. Firstly, it boosts levels of serotonin (natures own Valium, proven to alleviate anxiety). Secondly, it produces vitamin D, which is good for bones, teeth and skin. However, to avoid premature ageing and skin cancer risks, we need to take care for a safe, sun-kissed glow. 1. Try to avoid sunbeds! Don't believe the myth peddled by some beauty salons that it is possible to gain a "healthy" tan with a sunbed. "It's the wrong UV- tanning beds pump out huge amounts of UVA and virtually no UVB (which stimulates vitamin D), and can increase the risk of skin cancer by 75%", say the doctors. However, if you decided to use solarium, ignoring the damages it can have on your skin, then you need to apply certain means beforehand, such as tan accelerators. Using tan accelerators without a doubt speeds up the whole process of tanning, and kick-starts your skin's natural tanning process. This is why you need to know how to apply them depending on the case. 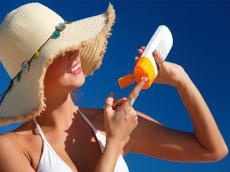 If tanning in the sun, apply it over you SPF cream. If tanning on a sunbed, apply before going on. It is strongly recommended to use Coconut and Aloe sun tan accelerators. They help build the base tan. 2. Apply the right sunscreen! It's very important to know your own skin and use the right sunscreen. Go for SPF30 over SPF50. It filters 97% of UVB rays, while SPF50 filters 98%. "The latter can give a false sense of security and can be so chalky you may not reapply it every two hours like you should. If you have very dark skin, SPF15 is sufficient", says conducted researches. 3. Choose the right time for tanning! According to the results of research, your skin reaches a tanning cut-off point when it physically can't produce any more melanin, the tanning pigment, so it's pointless to lounge by the pool all day. Research studies have proved that everyone had their own melanin cut-off, typically two to three hours or much less if you have fair skin. After this you are just subjecting your skin to the risk of UV damage. Get sun tan for 15 minutes and then seek for shade. Put the sun screen on every 40 minutes, if you are sweating- out it even more often. Also note that sun tan gained in a rainy weather lasts longer. Definitely take a shower after swimming in the sea. 4. Watch what you are eating! Certain kinds of foods are known to increase lycopene, the skin's own SPF. An antioxidant found in tomatoes and oranges and some other sea foods. It can boost your sun protection by a whopping 33%. Tomato paste is one of the best sources as well. Peach, apricots, apple, pear, melon, water-melon and citrus fruits, mush-rooms, beans and almonds are your best friends in keeping long-lasting sun tan. Dermatologists say that dark chocolate is packed with flavnoids that can help you protect your skin against sun burn, while caffeine is considered to help cut your skin cancer risk. English dermatologist Dr. Samantha Bunting strongly advises to take in an espresso shot right before you hit the beach. 5. Do not forget to moisturize your skin! It is essential to keep your skin moisturized after tanning, but also during tanning. Moisturize both inside and out! Drink plenty of water. Do not use cosmetic masks made of lemon, cucumber or milk. Use the ones made of tea and carrot. The most difficult part about tanning is building that initial base tan. Slowly increase the time you are exposed to the sun, and keep doing it regularly, so that you don't fall behind and have to start all over again. Once that base tan has been established, your tan will occur much more quickly. 7. It's OK to use fake tan supplements! Fake tan offers no sun protection, but it can help you stop burning by easing the first day pale panic. Using spray tan that contains bronzer will give your skin a tint, an extra little tan-colored hue that will make you look tanned before you've even started tanning. However, you need to know how to put in on even, so that it will look natural.